UFC 200 is all set to go down from the brand new T-Mobile Arena in Las Vegas, Nevada on July 9, 2016 in what is sure to be a can’t-miss event. The historic event is set to be headlined by a much-anticipated championship rematch, as Daniel Cormier will defend his strap against Jon Jones in the headlining act. Plus, Miesha Tate will attempt to defend her women’s Bantamweight strap for the first time against the ever-gritty Amanda Nunes. And if that isn’t enough to wet your combat appetite, former UFC Heavyweightchampion Cain Velasquez will throw heavy leather against Travis Browne. Brock Lesnar will return the Octagon for one night only to take part in the monumental event against Mark Hunt. The focus of this weeks promo video, however, is on the much-anticipated interim Featherweight title fight between Jose Aldo and Frankie Edgar. 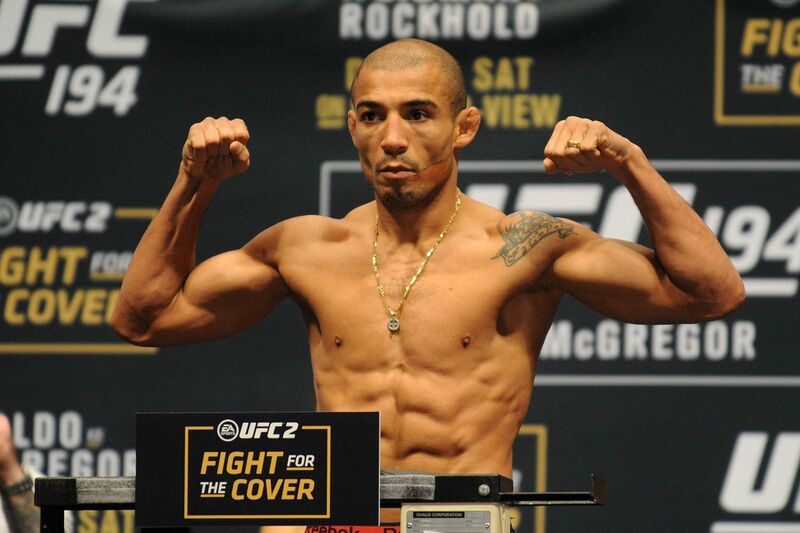 Aldo took the first fight back in 2013 at UFC 156. This time, though, the stakes are higher, as they will not only be fighting for the interim belt, but for a big-money fight against current division kingpin, Conor McGregor. To kick start what is sure to be a heavy dosage of promotion, UFC released the first promo video for UFC 200, and it’s a good one, as the production team really knocked it out of the park with the first trailer; which includes a cameo from Brock at the tail end of it, which was intend to be the surprise reveal. Expect for more promo videos to be dished out as the event draws nearer, until then, to see the most up-to-date UFC 200 fight card click here.